The Lilly Pad of St. Augustine was created by caring and compassionate women who are dedicated to helping women in recovery form a solid foundation for long-term recovery. 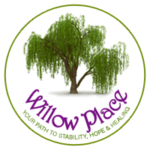 We are an all-women’s sober living program that promotes stability, accountability, and healing in a safe and comfortable setting. Our staff works closely with each resident individually as they progress through three levels of the program. The Lilly Pad offers a high level of structure and support in a therapeutic, drug-free environment where women struggling with addiction are empowered and thrive. Our primary goal is to teach the healthy habits and life skills necessary to achieve a lifetime of sobriety. We created a home for recovering women in the nation’s oldest city, St. Augustine. Located in the northeast region of sunny Florida and nestled beside the Atlantic Ocean, this city has 43 miles of beautiful sandy beaches. Visit the downtown historic district with cobblestone streets, charming cafes, shops, century churches, museums and much more. There are many opportunities to enjoy the outdoors. Watch the dolphins swim beside the boats coming into the inlet or gaze at the sights of a tranquil sunset down at the marina. Take a peaceful hike or bike down a nature trail. Explore or meditate in one of the many state parks. St. Augustine is a perfect place for restoration and healing. Our qualified staff are women in recovery who can share their own experience, strength and hope about how the healing process works and provide valuable advice to those who are newly sober. Our dedicated and trusted staff provides a high degree of accountability and support to help every woman establish a solid foundation in her recovery. Are you or a loved one struggling with a drug or alcohol problem?